JimBo Trout and the Fishpeople is a band that is walking the line, playing their hearts out and having a good time! 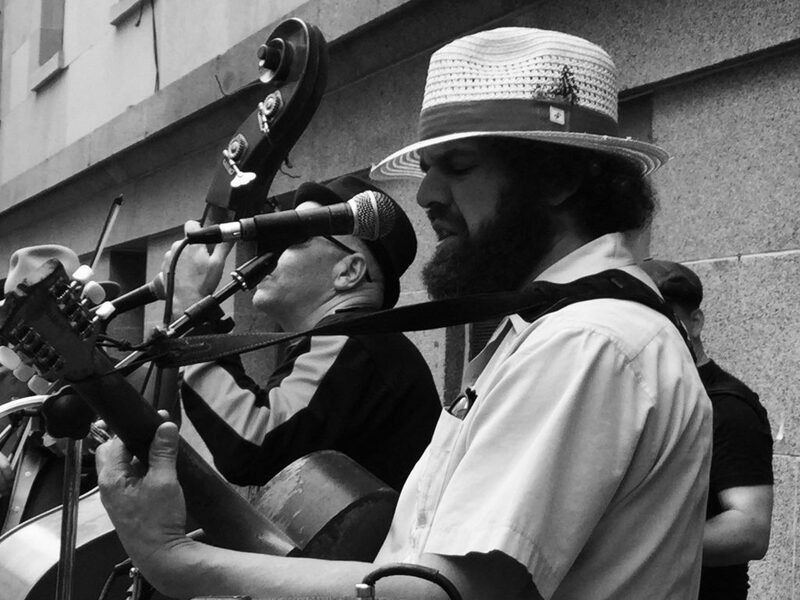 JT&FP are the essence of the “bluegrassish sound”—a good-time gumbo of bluegrass, old-time, ragtime, blues, western-swing, rockabilly, honky-tonk, jug band, jazz, swing, Cowboy, rock+roll, New Orleans, and more. But they are not a band that would let tradition stand in the way of a good time. They are a fun, high-energy, danceable group if ever there was one! The San Francisco-based JT&FP have been crafting their good-time musical gumbo since 1992. With over 500 songs on their list, the band will surprise you with their range. Their appeal extends to fans of traditional music as well as those with more modern tastes, young and old, and in-between. JT&FP is a collective of top musicians from three generations performing in various formats, always keeping it fresh!